Ask about our free lifetime whitening for new patients! At Bluffdale Dental, our goal is to make sure you receive the best care possible, at the most affordable prices. Our friendly staff provides personalized service to every patient, and we are dedicated to not just improving your dental health, but your overall wellness for a better, happier life. Focused around your comfort, care, and convenience. ICE CREAM! That's Dr. David Babcock's answer when he is asked if there is anything he loves more than being a dentist in Bluffdale. His goal is to never let a problem to be solved become more important than a patient to be loved. The mission of his team is to be the most community oriented dental office in the Salt Lake Valley. In order to provide optimal comfort to his patients, Dr Babcock takes the time to get to know each one by name, making the dental clinic in Bluffdale feel like home in a way. Dr Babcock cares, and it shows in the way that he treats fearful patients, spends extra time with kids, comes in for emergency appointments after hours, and makes phone calls to check in after dental surgeries. Dr Babcock has taken nearly ten times the required amount of CE for dentists in order to make sure that the quality of dental care offered is second to none. At Bluffdale Dental, your comfort is his highest priority. Dr Babcock and his team truly care, and so they take the time to get to know every patient offering the personal touch of a small town dental office near you. "The staff was awesome! They made me feel comfortable and like I was doing a good job for myself and for my kids. They were very friendly and knowledgeable. The facility was state-of-the-art and very clean. Thank you so much!" "My experience in your office is always very good, when I come in for a scheduled appointment, I am greeted by really good front office folks, I am invited back quickly, everybody knows their job and fulfills their duties cheerfully. I always recommend your office to people who are looking for a dental office." "Great people doing terrific and honest dental work. We are very happy to have a relationship with them and trust them as our professionals." "Dr. Babcock and his staff at Bluffdale Dental truly treat you like family. You're greeted with a smile and Dr. Babcock will speak with you regarding all matters regarding your overall health and not just your oral health. He wants to see all of his patients thrive ill all aspects of their lives." 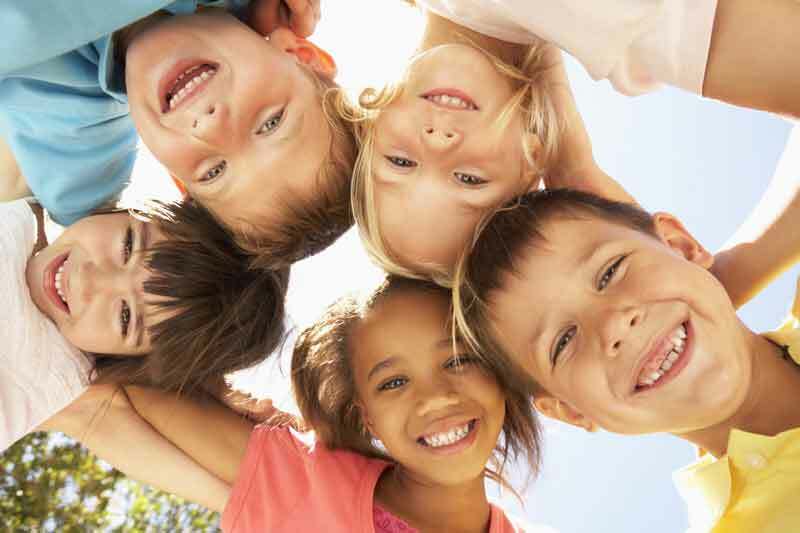 At Bluffdale family dentistry , we provide high-level care for kids and grown ups of all ages. At Bluffdale Dental, we used the latest in technology to offer you the highest quality in lasting care. Whether you are in need of dental implants, clear braces, adult orthodontics, wisdom teeth removal, veneers, teeth whitening, cosmetics or just a good old fashioned cleaning, our caring team will give you and your family the best experience possible. Home town love with high tech care!